The hotel is going 100pct non-smoking property. The Hampton Inn Staunton hotel is located off Virginia Interstate I-81 and I-64 on RT 11 South. Adjacent to our hotel is the Colonial Mall with six movie theaters. Hampton Inn hotel guests find we are convenient to a variety of restaurants and entertainment. Visitors to Staunton Virginia often enjoy shopping at the nearby Waynesboro Outlet Village along with a variety of historical attractions in the Staunton area. In Staunton Virginia our Hampton Inn hotel rooms come standard with coffeemaker iron and ironing board complimentary in-room movie channel and HBO. Guests will enjoy complimentary local calls and no surcharge for using a calling card. Guests at the Hampton Inn Staunton hotel also enjoy the following complimentary items On the House hot breakfast Hampton*s On the Run breakfast bags /Monday-Friday/ high-speed Internet access in every room wireless Internet access in the hotel lobby meeting rooms and public areas coffee and tea in the lobby 24-hours a day and USA Today copies Monday-Friday. 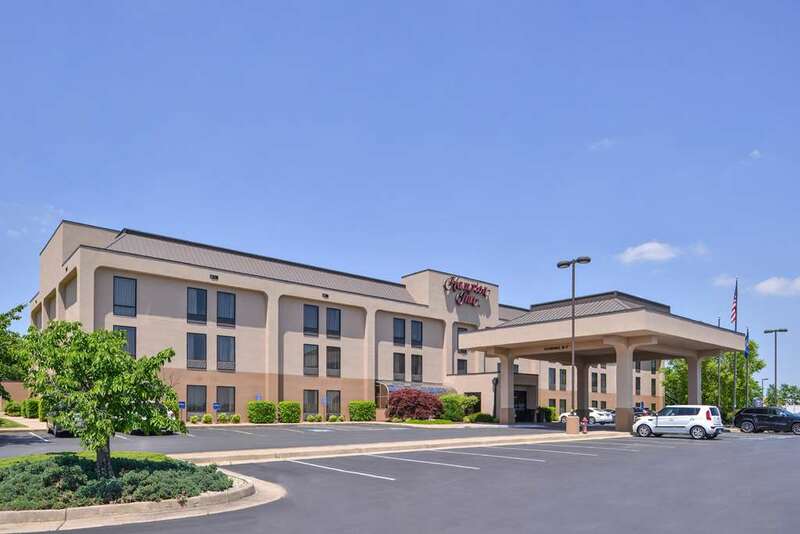 If your travels to Staunton Virginia include a meeting this Hampton Inn hotel also has meeting space available. We love having you here in Virginia at the Hampton Inn Staunton hotel.